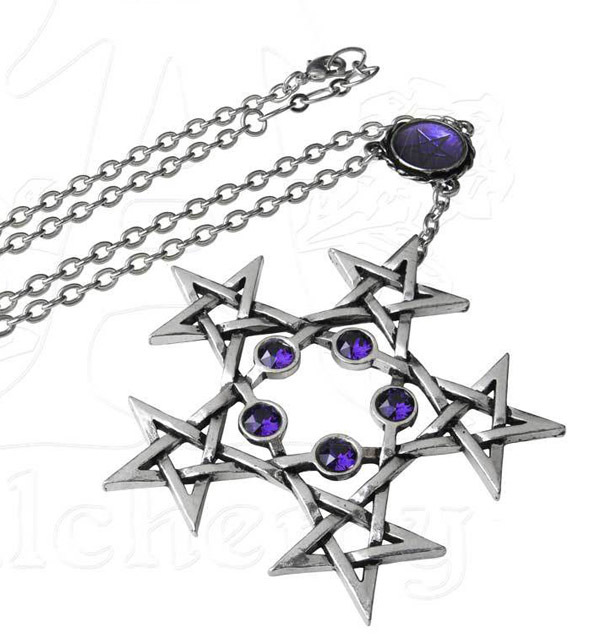 The most powerful of supernatural, magical talismans, the pentagram, quintuplised; empowered to the value of five with a further pentagram on each point, and set with mystically accredited purple crystals. A giant pewter pentagram, each point of which is interlaced with a smaller pentagram creating a snowflake-like geometric shape. 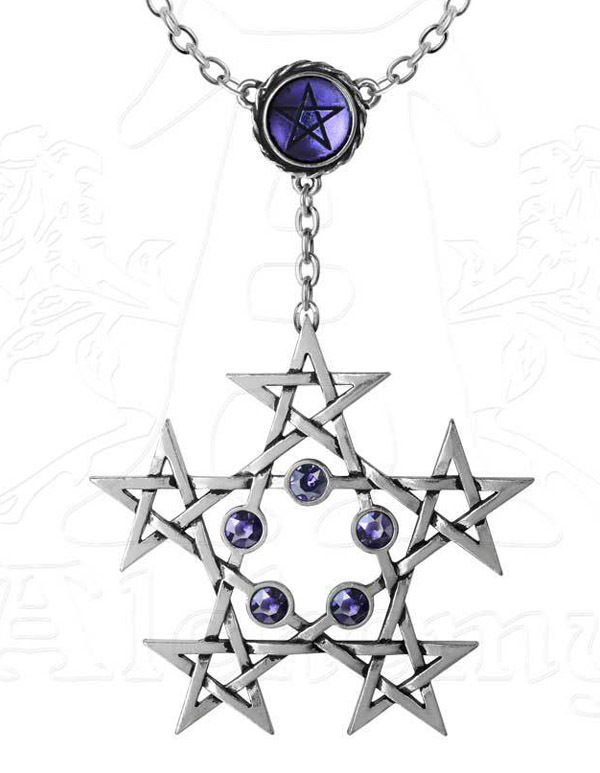 Five purple Swarovski crystals are set within and the pendant is suspended from an engraved pentagram disc beneath a transparent purple enamel.